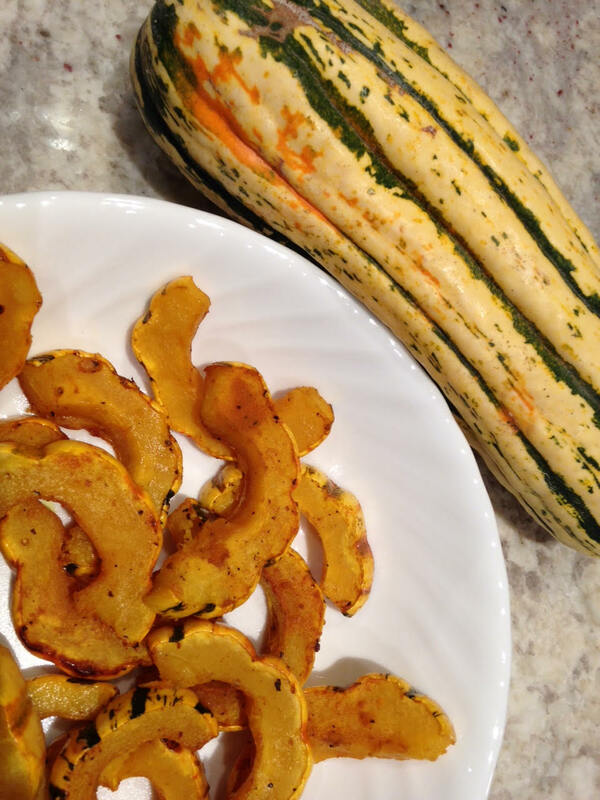 I have to admit, I didn’t even know what a delicata squash was a year ago. The only squash I really knew was a gourd-shaped yellow squash. Thankfully I’ve now met spaghetti squash (LOVE but have never prepared myself), butternut (meh), acorn and these yummy ladies, The Delicata. They are easy to make, nutrient rich and super filling. A tip of the cap to Trader Joe’s who attached a sticker with preparation instructions, which got me juggling several of these in to my grocery cart. Consider these gems for a healthy, elegant but inexpensive, and colorful side item for your Thanksgiving soiree! Toss with olive oil, sea salt and ground pepper. > Ha! I still have a lot to learn. I have not made butternut or spaghetti squash. But LOVE spaghetti squash when I’ve ordered it!